A nice, sturdy side table set by Brut. 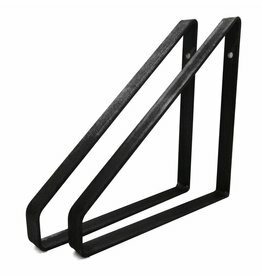 The side tables have a metal frame in which a plate of wire glass is located. The side tables have different dimensions so that you can conveniently slide them into each other, or playfully place them separately. The iron is dark anthracite, which makes the look extra tough. Nice to combine with the Brut wall rack. 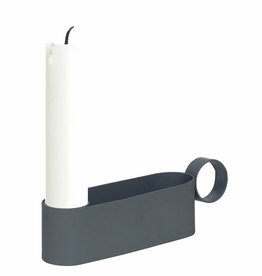 Set of 2 dark metal shelf holders of own label Stoer Metaal. 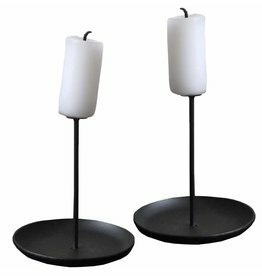 Set of 2 candlesticks Micro pin by Sebastian Bergne for Eno Studio. Beautiful green oxidized style vase from House Doctor.